My Role: Narrative design, dialogue, story ideas/concepts, editing of game dialogue, and quest dialogue. The jungles, savannahs, deserts, and tundras are hiding secret wildlife parks, but they've been abandoned by the animals that once called them home. Journey into the wilderness and collect magic leaves to rebuild the parks and bring the animals back. 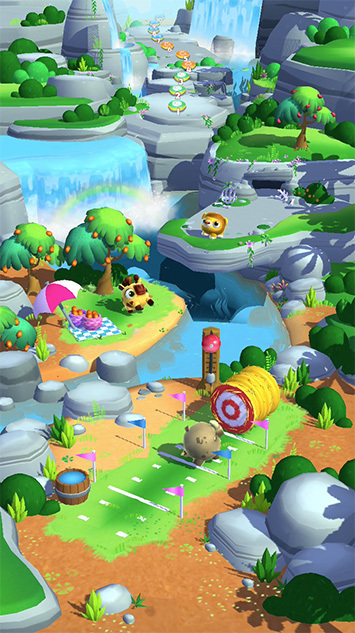 Compete with friends in a variety of challenging puzzles, earn power-ups and rewards, and even collect and show off your favorite animals. Time to go on safari!! 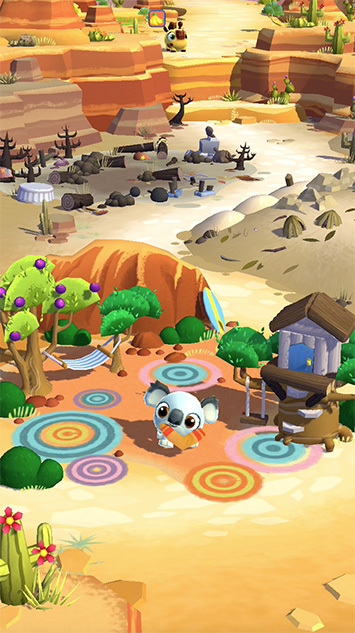 • Rebuild the parks to bring the animals home, then play with the cute new critters! • Help your animal friends to reveal their storylines! 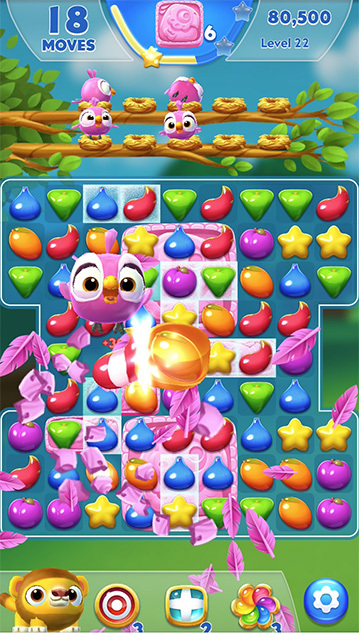 • Power-up with animal Win Streak boosters! • Connect and Explore the wilderness with friends! • Earn Rewards by finding and opening Safari Chests! 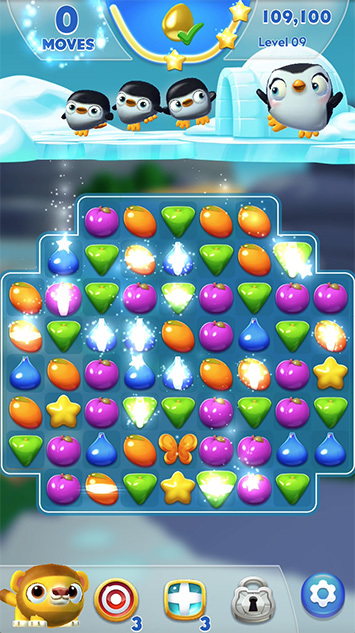 • Crush challenging match 3 puzzles and earn Magic Leaves! • Tortoise vs Hare - Help the tortoise outrace the hare to win the trophy. • Save Baby Penguins - Swipe and match to return the eggs to the mama penguin. • Free Parakeets - Uncover trapped parakeets and help them return to their nest. • Feed the Baby Panda - Collect enough bamboo to feed the hungry baby panda. • Help the Frogs Hop Home - Watch out for the hippos and other dangerous obstacles. 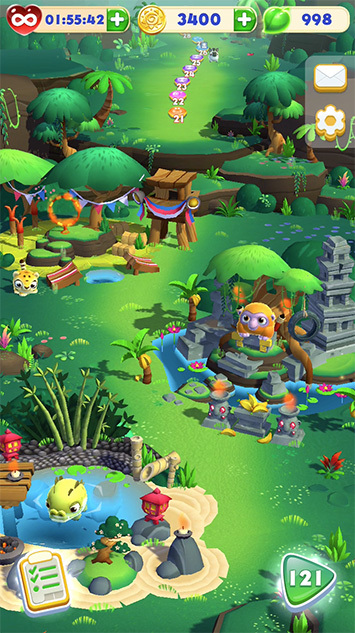 Adventure is waiting deep in the jungles of Wild Things: Animal Adventure!